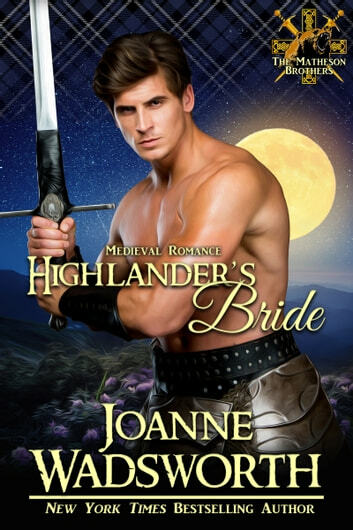 New York Times Bestselling Author Joanne Wadsworth brings you more delicious Highlander romance. Come and join the adventure! Kidnapped as a wee lass by a fierce Highland chief, Kyla MacKenzie has been raised for the past twenty years as the chief’s foster daughter, the ruthless chief a man who threatened to kill her parents should she ever speak the truth about her abduction. The chief covets her fae blood and when she’s asked to tend to a captured enemy warrior and discovers they hold a soul bond, all her secrets could be exposed and her parents’ lives endangered. Warrior Ronan Matheson discovers his chosen one is the foster daughter of his clan’s greatest enemy, a lass he’s been searching for his entire life, although when his fellow warriors come to his rescue and he escapes from within the enemy’s walls, he must then turn around and find a way to get back in, and all without his actual identity being discovered. It’s time to bind his chosen one to him, and for her to learn all about her true clan. Theirs is a battle of lost love, of passion flaring hot and strong, and of a journey to bridge the gap between two warring clans. Get it today, because who doesn't love seeing a Highland warrior coming to his lass's rescue!